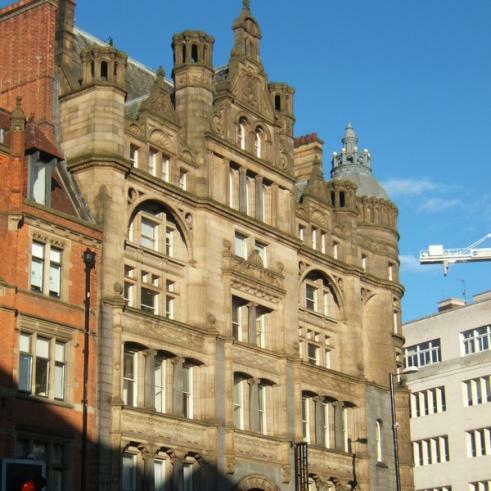 Description: Works to this city centre, Edwardian, French Renaissance inspired commercial building; include internal refurbishment to provide modern office accommodation whilst retaining the building’s original architectural character. They also incorporate modifications to an existing light well at the heart of the building that links rear office spaces with those at the front of the building overlooking Albert Square. The building is also to be extended at the rear, including a new vertical service duct that rises through the full height of the building through the existing fabric to facilitate the fit out of a new restaurant at ground floor level.